I am entirely aware that this focaccia is really just a rearranging of the pasta dish from this post, but this is what I’ve been thinking about, and as the reality turned out to be good enough to make me shout profanity in the kitchen (kids safely playing with legos in the other room, but hell, they know the words by now anyway), here we are, again talking about wheat, preserved lemons, herbs and Parmesan cheese. As Sadie puts it so eloquently, “I want what I want, and that’s just what I want.” It’s grumpy child eating for sure, with the same ingredients reconfigured over and over. I can’t help it. The jar of preserved lemons calls to me every time I look at it. There’s something about the whole craving that reminds me of pregnancy. I’m not pregnant. I promise. Everyone else is these days though, and the beautiful bellies are growing all around me like ripe fruit. I love it. I feel like a whole group of kids are coming into the world this year. The girls are getting envious, and recently they’ve been pushing for a little brother. Sadie’s finally learned the full extent of how babies are made, and she has been eyeing Joey and I, wondering if we’ll “do it.” But I’ve told them the truth, or most of it at least. That someone has to be around to help everyone else who is having babies. Someone needs to be here to organize the meal trees and throw the baby showers. Someone needs to pull the sling out of storage and take that new baby for a walk around the block so that its mama can have a few minutes to bathe. That’s me. I’m ready. And I can’t wait. Besides, I’m pregnant with a book. I know that I’ve talked about this whole book/ baby thing before, but it’s been coming into my mind more lately since I’m here. The calendar changed today, and now I when people ask me when the book is coming out, I can say, “NEXT MONTH!” Next month. It’s been a long long pregnancy. Luckily, I still had my sense of humor at that point, and I think I even laughed. But I swore that I would never say anything like that to a pregnant woman. I do. I say those things. Not that bad! But my mouth opens and I can’t keep it in. I’m like that. I just love that sort of waiting that comes with the arrival of a new person. And I recognize that sometimes it’s nice to have people waiting with us when that new person or idea or, well, book is coming. Because after all, we never know what’s coming next. And it’s so good to have your friends with you when there is such a great unknown ahead. I’m scared. I’m scared of Amazon reviews. I’m scared that I’m going to care so much about that stuff that it will change the way I feel about myself. I’m scared of sales numbers. I’m scared of planning events and having no one show up. I’m scared that people won’t like what I’ve made. I’m scared that it will just be another book on the shelf. I’m also scared that the book will be a success. That my life will change, and that I’ll be less of a mother and more of a writer. I’m scared that I’ll lose the inspiration of these normal, everyday days and then I won’t have anything to write about. I’m scared that I’ll end up on TV, and everyone will see that my graham crackers are irregularly shaped and that I cut onions like an amateur. But you have got to take risks right? To jump into the unknown? I would imagine that there are few acts of trust in the world bigger than becoming a parent, few situations that require more of a “close your eyes and jump in and hope that somehow it will all work out even though who knows what the hell the future might hold” sort of mentality. I’ve done that. So this should be a piece of cake right? I can put that book out into the world and trust that everything will be okay. I can do this. People have been asking me how they can help make all of this a success. People I know, people I don’t know- it’s been blowing me away. “Where do I buy it? When do I buy it? How does all this work? Is Clarkson Potter doing anything great to make me want to preorder? (yes! )” So Joey did something so kind and wonderful. He sat down and wrote an email to everyone we know, explaining it all, answering the questions. I was going to paraphrase it here in some way, just so I could get all of the information out to you. But I can’t. It’s too… Joey. So pretend we’re in your inbox, and the subject is THE HOMEMADE PANTRY. Maybe you were planning on getting this book, or maybe you weren’t. That’s okay, you can get it from the library. BUT, if you were planning on getting the book, would you consider pre-ordering it? Any copy pre-ordered from ANY source will also come with a bookplate designed by my nice friends at MoHo Designs and signed by Alana Chernila herself. Here’s how: just email me to tell me you’ve pre-ordered (and from where). Let me know your address, and Alana’s publisher Clarkson Potter will send will send the bookplate out to you. 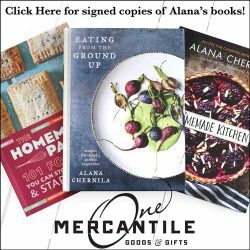 Plus, you’ll also be entered into a drawing to win a fancy stainless steel canning set, courtesy of Alana’s really really nice publisher. Would she sign the book for you the next time you see her? Yes, probably. But now you can get a signed copy for your mom too. If you want to send this email on to friends and family, that would be greatly appreciated. 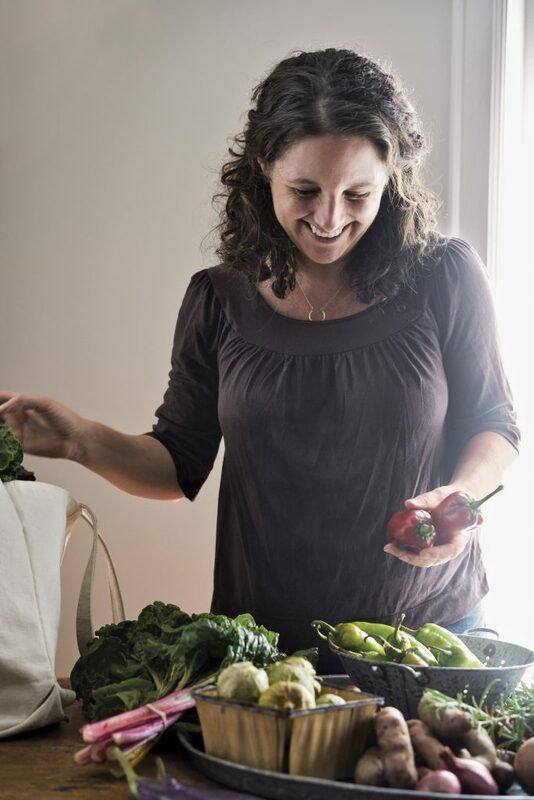 She couldn’t have written this book without your support, recipes and appetites. I’m proud of my wifey. 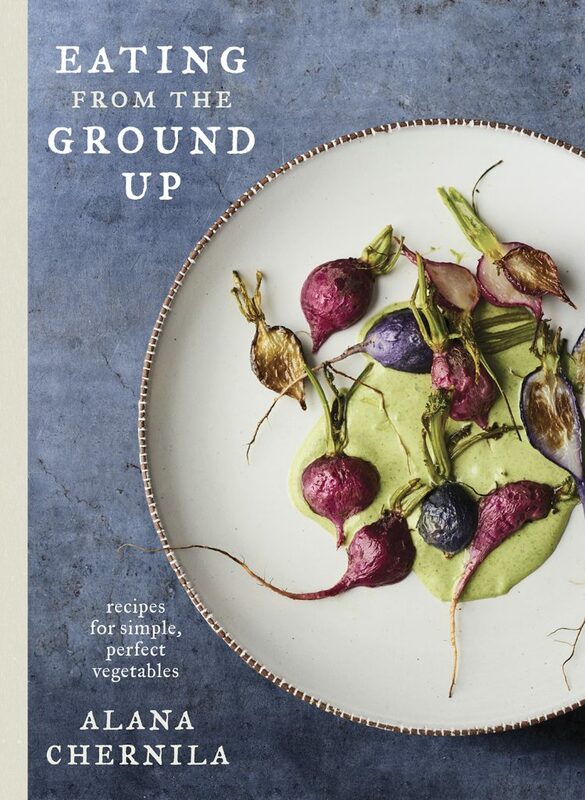 She wrote a real fine cookbook. That’s it, from Joey himself. This email makes me feel like a warrior, having this guy with me. 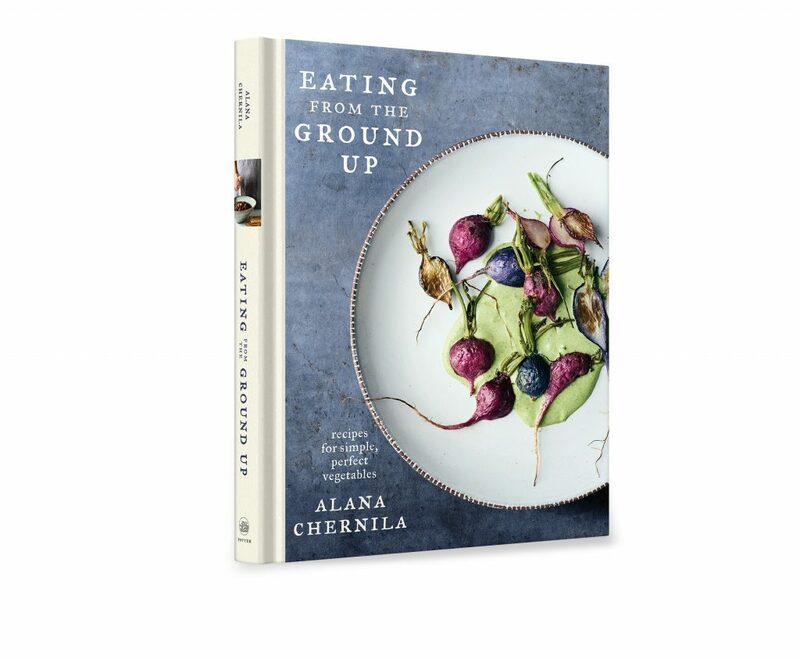 If you’d like to pre-order from anywhere (or if your already have- thank you! ), just email me some evidence- a receipt, a note of your sworn word, that sort of thing. 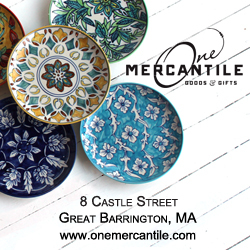 Then we’ll get you on the list for a bookplate (stamped and signed by me, and sent out by the very kindly marketing director at Clarkson Potter), and we’ll enter you in the drawing to win the fancy shmancy stainless steel canner. That’s all the book stuff for now. Thanks friends, for making it through this really long post, and for waiting with me, and for being wonderful. 1. 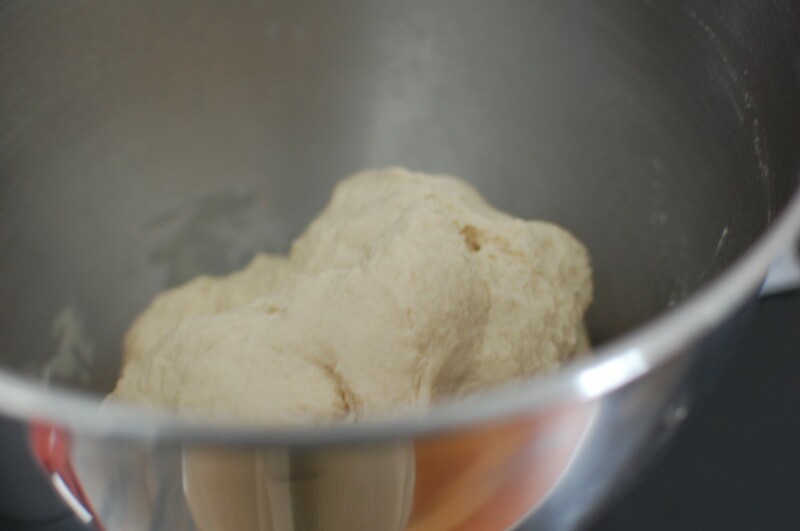 Combine the yeast and the warm water in the bowl of a stand mixer fit with the dough hook. Stir to combine, and let stand until foamy, about 3 minutes. 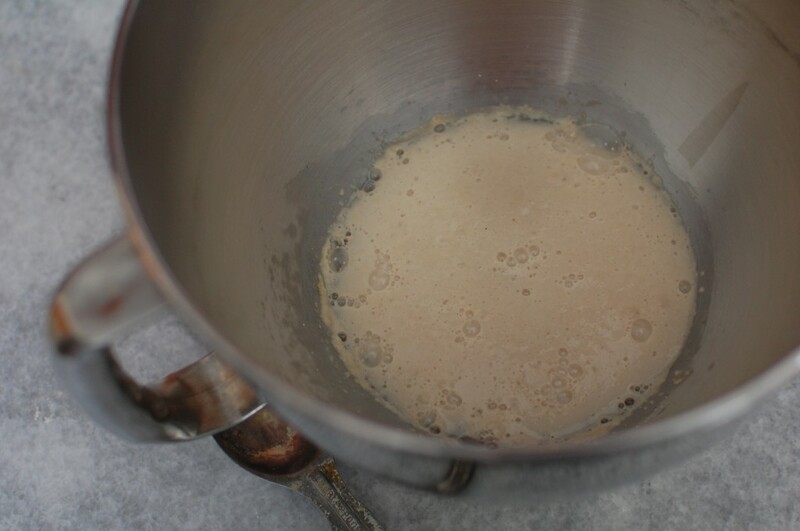 Then, with the mixer running on low speed, slowly add the flour to the yeast mixture. 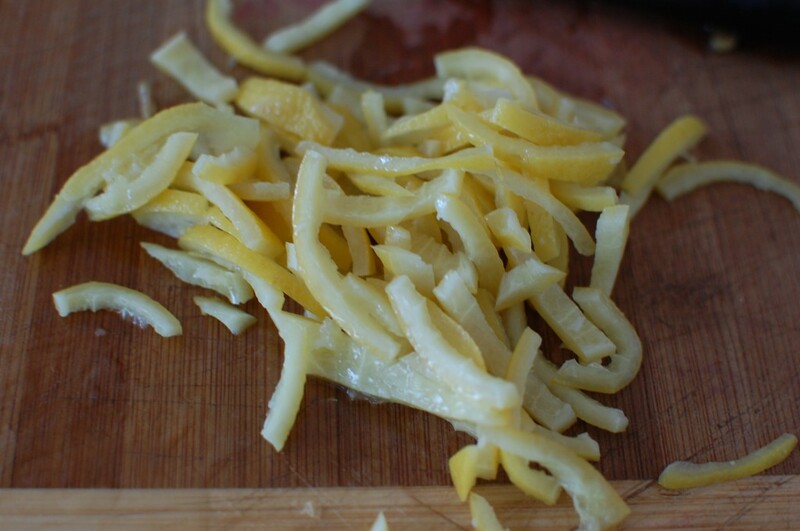 Dissolve the salt in a few tablespoons of water, and add that to the bowl, as well as 1/4 cup of the olive oil. Raise the speed to medium, and knead the dough with the dough hook until the dough is smooth and stretchy, about 8 minutes. Coat the ball in olive oil, put it into a bowl, and cover with plastic wrap. 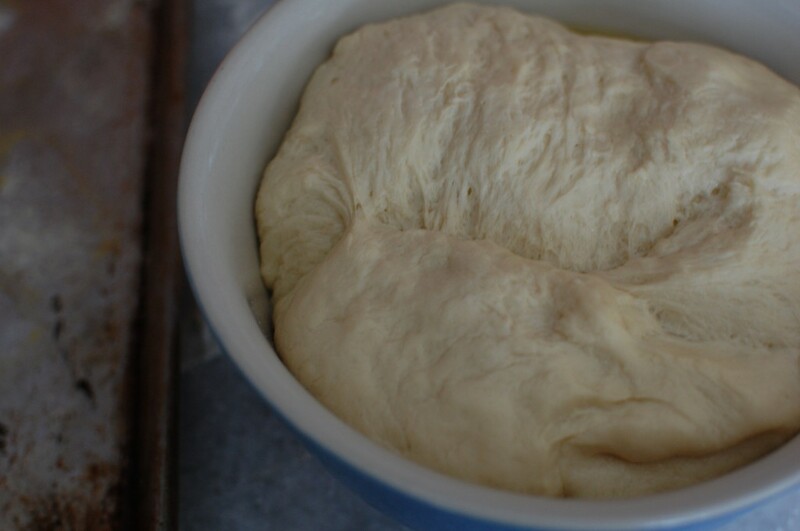 Let the dough rise in a warm place until it’s puffy and pretty much doubled in size, 45 minutes to an hour. 2. Drizzle a sheet pan with olive oil, then sprinkle it with cornmeal. 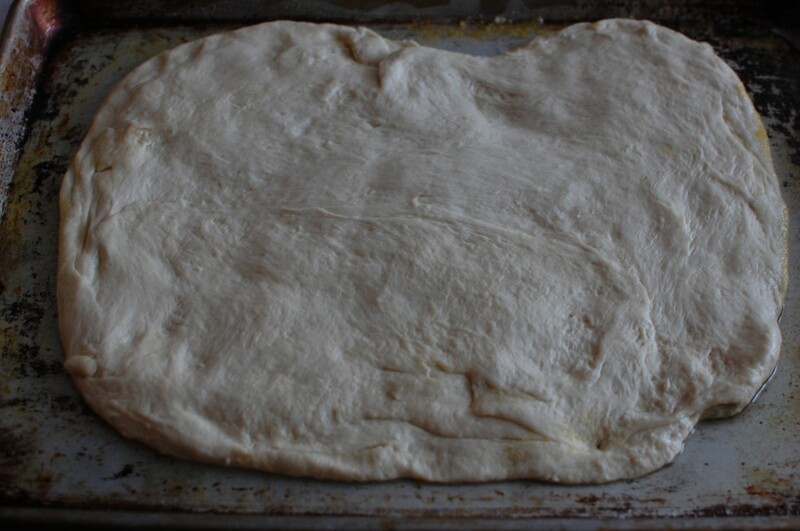 Put the ball of dough on the sheet pan, and stretch and press it until it’s an oblong shape nearly as big as the pan. Let the dough sit for 20 minutes. Preheat the oven to 400 degrees. 3. Use your fingers to dimple the whole surface of the dough. 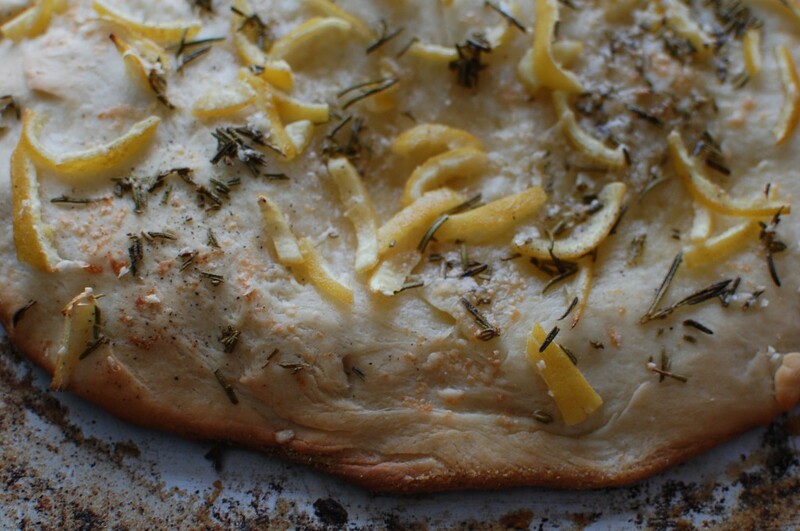 Brush the dough with the remaining 1/4 cup olive oil. 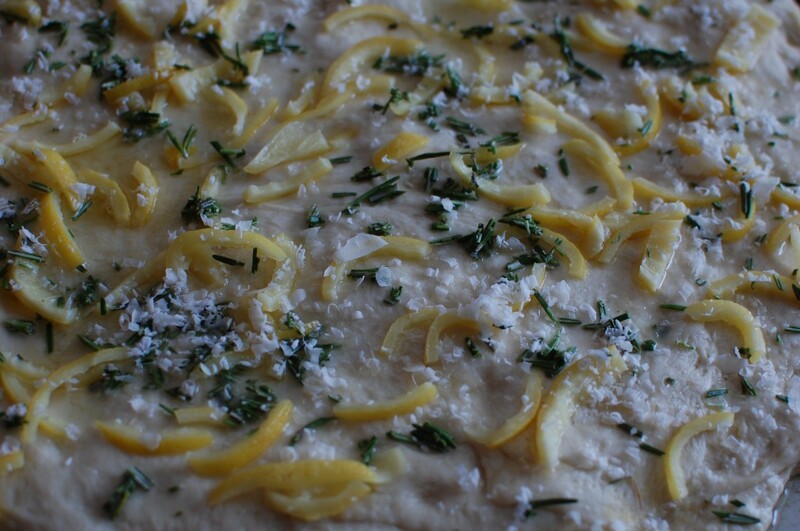 Sprinkle the preserved lemon peels and rosemary over the surface of the dough. Top with the Parmesan cheese and several grinds of pepper. Bake on the lowest rack of the oven until just starting to brown, about 30 minutes. A brother! THAT would be exciting. And the fear? Luckily it goes away. 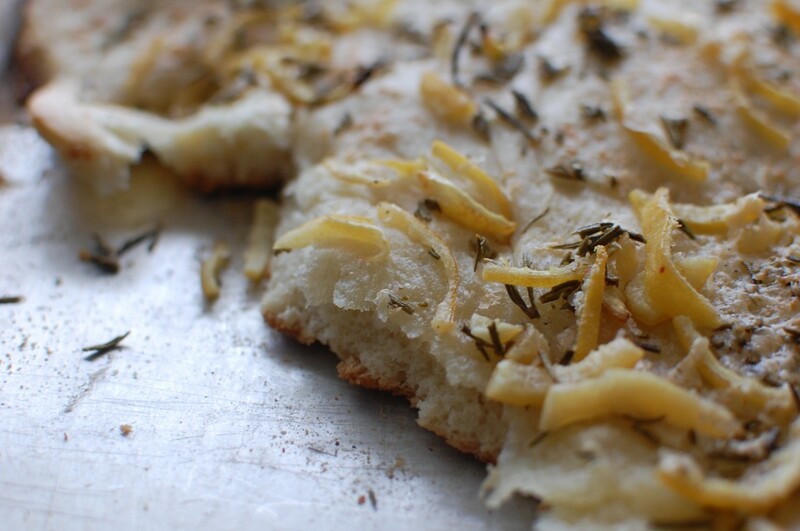 Preserved Lemon and Rosemary Focaccia? Please make that when I come over next. Everything will be ok, and you CAN do this. And you’ll do it again and again and again. All the while surround by love and support. Irregularly shaped graham crackers are charming, and most people cut onions like an amateur. Don’t be afraid of success or of failure. If you’re doing what you love, you’ll be fine. You are such a great mom for taking this leap! As one of my favorite peer blogs, I cannot wait to see your work in print. I get the risk-taking part… this will make you laugh: I pretty much bombed my final round for The Next Food Network Star because I looked the producer in the eye and said, “My biggest concern? Um, that I’ll become really popular and that will take me away from my family..” Oy!